The hotel industry in Southeast Asia continues to open new areas that would be considered secondary or tertiary destinations within their countries. The areas come without the crowds of mass tourism and still preserve the quieter beauty of Southeast Asia. X2, Centara and Mövenpick are coming to relatively new areas, at least to tourists, in Thailand, Laos and Vietnam. The story of the River Kwai made one of the greatest films in Hollywood history, but the story was based on the building of a bridge in Burma, not Thailand. 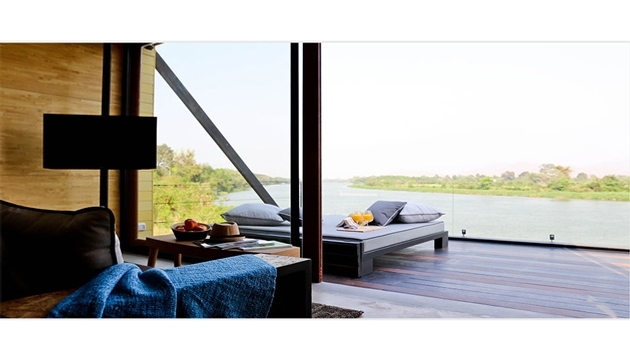 In the blurry line between movies and history, the River Kwai incident took place in Thailand and this July, a new design hotel from X2, pronounced “Cross 2,” is coming to the Khwae Yai River in Kanchanaburi, Thailand. The X2River Kwai will initially open with eight cabins and another 18 more villas to open in mid-2015. Don’t let the facts of the River Kwai keep you from visiting. The X2 River Kwai is surrounded by the rich green beauty of rural Thailand with its rice paddies, sugar cane plantations and local temples and villages. The resort straddles two acres of waterfront with every room offering panoramic river views. X2 is a designer brand from Astudo Hotels that features boutique properties with casual elegance. 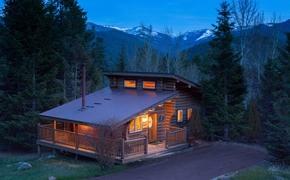 The resort is offering introductory rates starting at $170 for a LuXe Cabin including champagne breakfast for two. The offer is open to book now through July 31 for stays between July 1 and Nov. 30. Vientiane, which is in need of some luxury hotels in order to fend off market perceptions that it’s a “cheap” place to visit, will be adding some rooms at the top. Centara Hotels & Resorts is opening the 200-room Centara Grand Hotel Vientiane, its first hotel in Laos in 2017. Located in central Vientiane, the Laotian capital, the $46 million hotel will employ a French colonial style and offer two restaurants, a spa, a Kids’Club, swimming pool, fitness center, and meeting facilities including a ballroom. “Laos is a natural market for us, being a direct neighbor of Thailand,” said Chris Baily, senior vice president for sales and marketing for Centara Hotels & Resorts. Centara Hotels & Resorts operates 46 deluxe and first-class properties covering all the major tourist destinations in Thailand. A further 20 resorts in Maldives, Vietnam, Shanghai, Bali, Sri Lanka and Mauritius, Ethiopia, Qatar and Laos brings the present total to 66 properties. Brands and properties within Centara ensure that specific categories such as couples, families, individuals, and meetings and incentives groups will all find a hotel or resort that is appropriate to their needs. Mövenpick Hotels and Resorts acquired a new hotel in Vietnam and it will name it the Mövenpick Resort and Spa, Quy Nhon. Mövenpick operates in Ho Chi Minh City and Hanoi. The new resort is being developed on an isolated cliff overlooking the South China Sea. It is scheduled to open at the end of 2015. The nine-story, 180-room resort, will include 52 individual cliff and hill villas, a spa, extensive food and beverage outlets, a boat jetty, gym, a wedding studio and a wind power station. The new acquisition is in line with the Swiss hospitality company’s strategy to create a balanced portfolio of approximately 25 hotels in each of the regions where it operates; Europe, Africa, the Middle East and Asia.